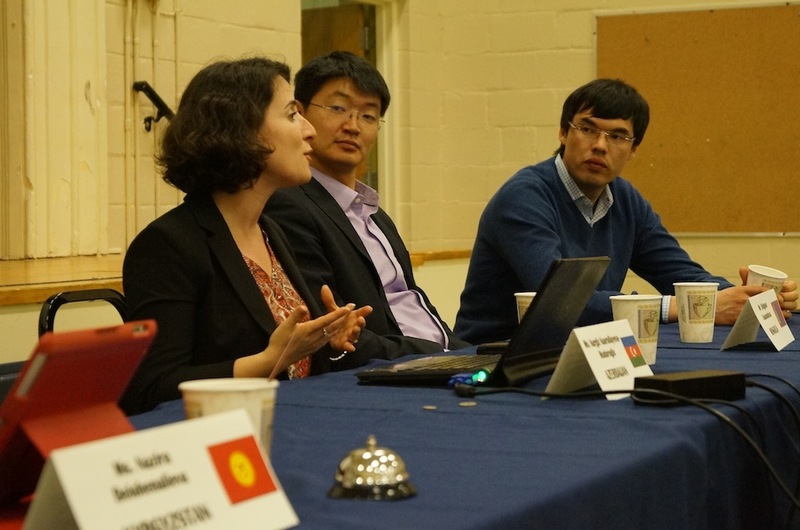 From April 20 to 24, 2013, International House hosted five dynamic business leaders from Azerbaijan, Kyrgyzstan, Mongolia, Tajikistan, and Uzbekistan through the Rumsfeld Foundation Fellowship Program. The Rumsfeld Foundation Fellowship cultivates a cadre of rising young leaders in politics, business, and academia from the Central Asia-Caucasus region. Rising leaders from the government and private sectors are invited to apply for the Fellowship and only the top tier candidates are chosen to participate in a six-week program. 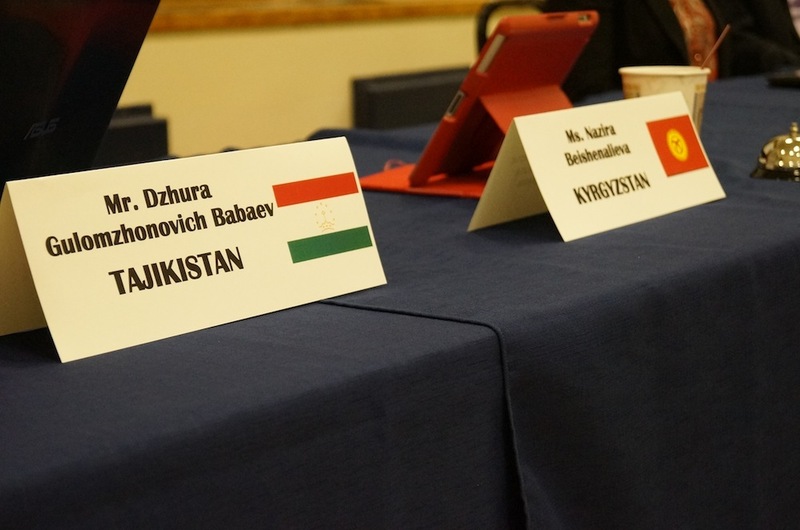 This Fellowship is a program of the Library of Congress and builds linkages between the U.S. and Central Asian countries by developing young leaders from the region. 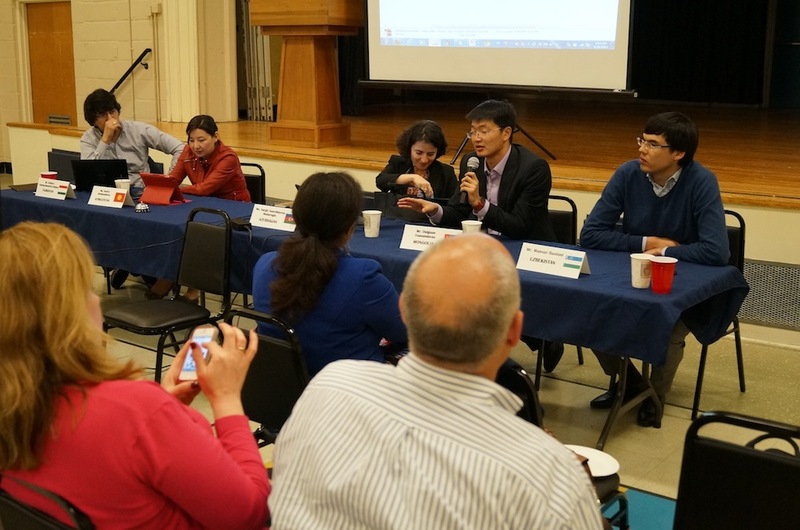 They Fellows were in Charlotte to learn about the theme of economic development in the U.S.
On April 23, International House hosted a “Who’s in the House” event to introduce the Rumsfeld Fellows to the public, as well as learn about their backgrounds. Below are pictures from the event! Ms. Nargiz Nasrullayeva-Muduroglu giving an overview on her country, Azerbaijan. Mr. Dulguun Baasandavaa speaking about the economy in Mongolia. 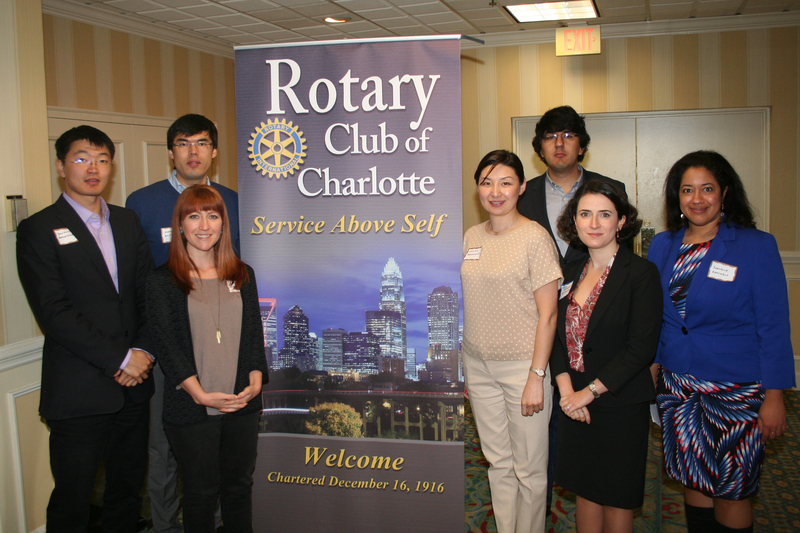 The Rumsfeld Fellows with International House staff at the Rotary Club of Charlotte.